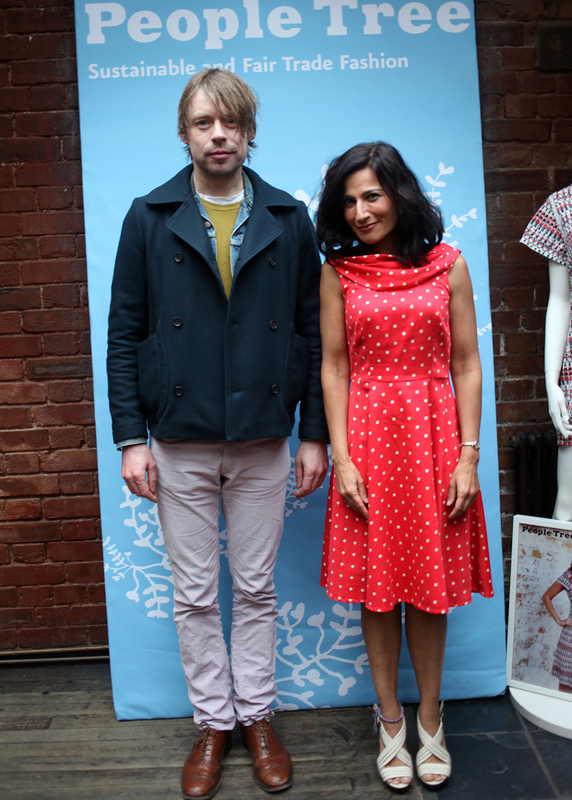 On Friday 22 February, People Tree hosted a press event to kick-off Fairtrade Fortnight and launch our Spring Summer 2013 collection. 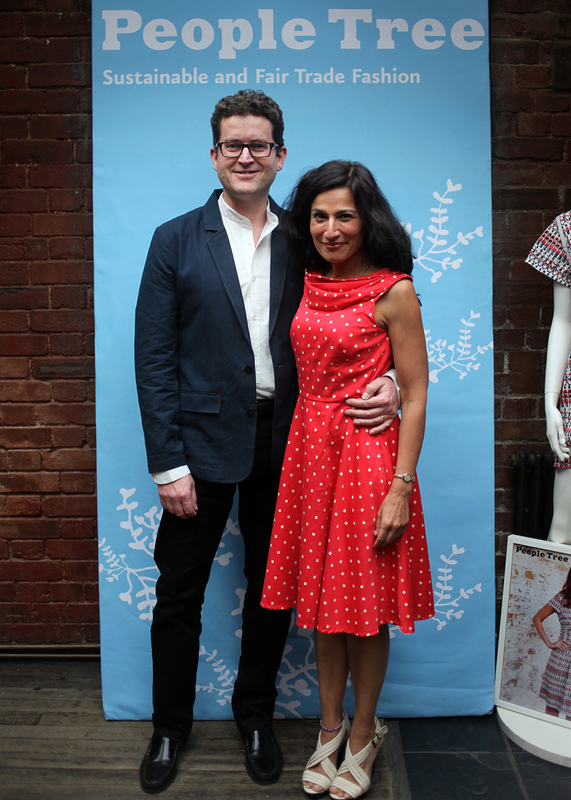 The event featured a panel discussion about Fair Trade and the Future of Fashion. Safia Minney, People Tree Founder and CEO, chaired the discussion between Mike Gidney, Executive Director of the Fairtrade Foundation, social entrepreneur Geetie Singh, designer Peter Jensen, model Lauren Gold and journalist Stacey Dooley. Journalists, bloggers, fashion buyers and owners of independent shops joined the team from People Tree at the Duke of Cambridge, Britain’s first and only organic pub, for an inspirational discussion about Fair Trade, organic cotton, fashion and how to change the world. Mike Gidney is the Executive Director of the Fairtrade Foundation. Fairtrade Fortnight is a two week celebration of all that Fair Trade can provide. Over the two weeks, there will be more than 10,000 events up and down the country celebrating Fair Trade, from the world’s longest banana split to the world’s first coffee powered car. Lauren Gold is a model and People Tree Ambassador. In January 2013, Lauren traveled with Safia to India to model for the summer catalogue and to see the impact People Tree is having on the lives of Fair Trade farmers and producers. Click here to shop ethical fashion from People Tree. Credits: Film edited by Miki Alcade and Produced by Safia Minney. Music by 24Pesos. Special thanks to all the panelists and The Duke of Cambridge. Sounds like a wonderful event and so great to see so much publicity about Fairtrade over the last few weeks. I think People Tree are amazing and a fantastic example of how good fairtrade fashion can look. 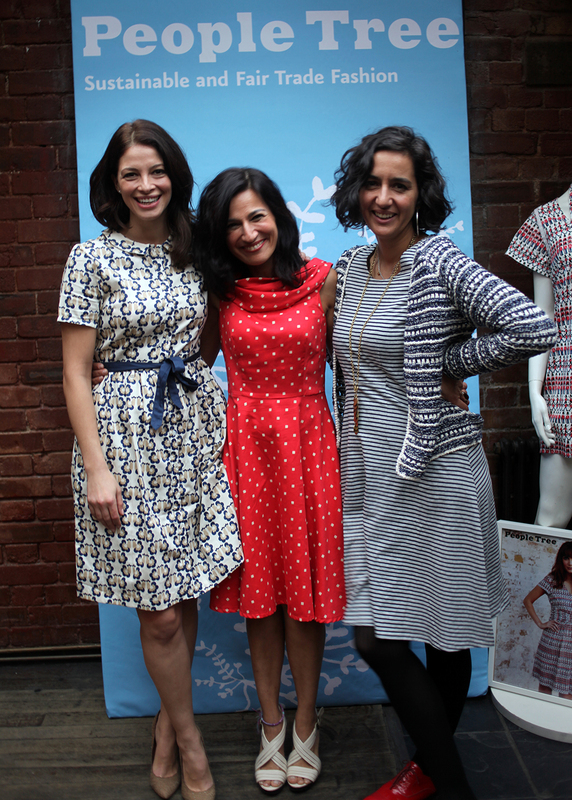 The beautiful dress that Safia is wearing is definitely on my wish list for Spring. Loving the new blog too, a great source of information and inspiration.